"Traditional pillars of pedagogy---instruction, curriculum, and assessment, are artifacts of an era of scarcity and no longer make sense when learners have access to an abundance of online resources for learning. 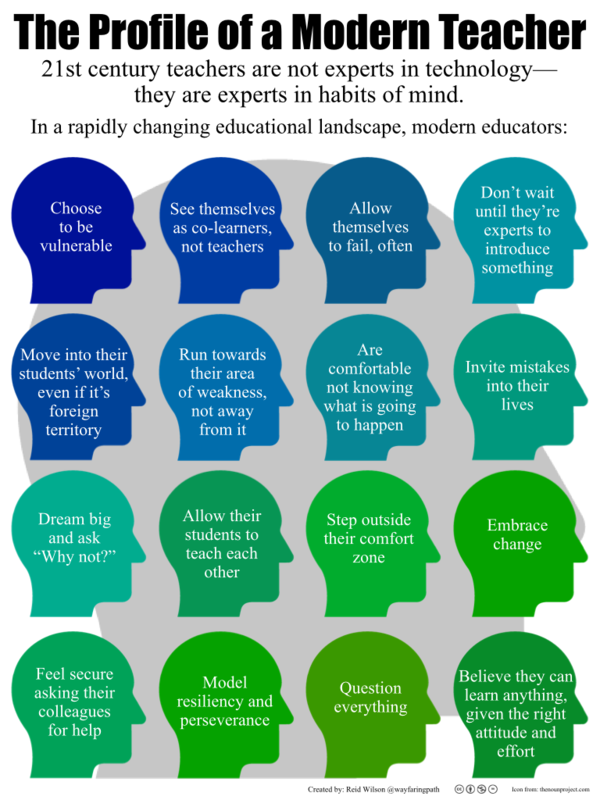 In today's world, our students' success after they graduate will directly depend on whether they have gained a new set of skills for learning, skills that require us to rethink our teaching. We need to give up control in order to empower our students to (1) design their own instruction, (2) curate (find, group, organize, and share) their own curriculum, and (3) gather feedback. Equally important we need to look in the mirror and reflect on the extent to which technology will empower our learning, as well." Students want an instructor that is engaged and to know that the instructor is right there with them instead of watching from the sidelines. Online courses facilitated completely through an online format without the physical requirements of attending a class in a traditional classroom. A portion of the learning experience is facilitated in a traditional physical classroom while another portion is delivered online. To deliver activities and content that would traditionally be delivered via a seated class in advance. The expectation is that students will review the information before coming to class, allowing for dialogue and activities based on new knowledge that have previously received. Benefits: Gives learners more time with the instructor--whether physical or virtual--to address individualized needs and concerns. Whether self-paced or more hands-on, the instructor can engage the student in ways that most effectively meet their learning style. These courses assist the traditional learning process by providing access to resources in an online format. Types of activities or resources can include course information, assessments, and instructor contact information. This format serves as another example of creating an online presence with students in order to increase engagement and student access. Opens the door for additional dialogue and interaction outside the seated classroom. Social media are computer-mediated tools that allow people to create, share or exchange information, ideas, and pictures/videos in virtual communities and networks. Today, it's estimated that about 46% college students are taking at least one course online. 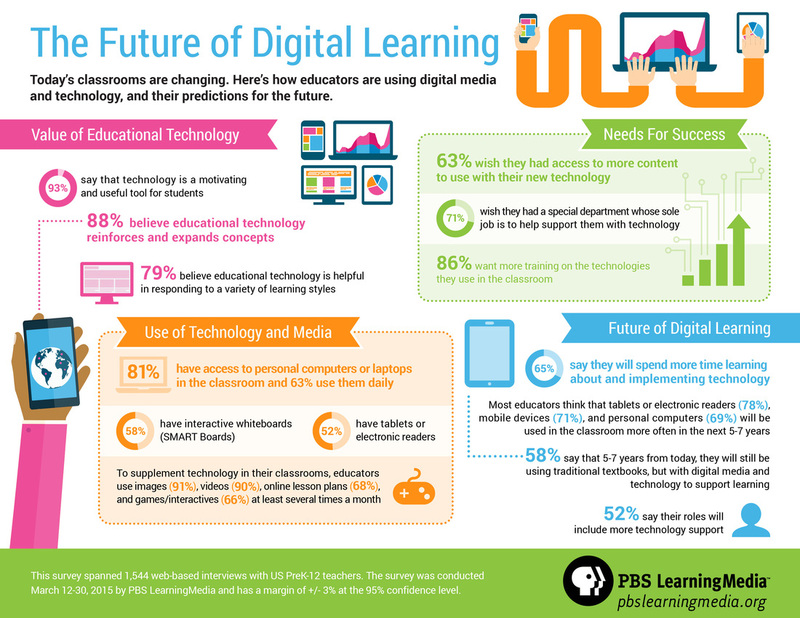 However, by 2019, roughly half of all college classes will be eLearning-based.